When the Kids said our website was out of date and we needed to change with the times, the team at MK needed to listen! When the Kids wanted to have a launch, but they didn’t want it to be boring and full of long speeches, the team at MK needed to listen! Thursday 4th April 2019, was a wonderful opportunity to showcase exactly what MK is about. With a room full of decision makers the Kids showcased MK via their new website, thanks to a grant from Lotterywest and lots of hard work over the past 2 years. With six rooms at The Platform, in the heart of Perth city, dedicated to the Kids speed pitching, guests were able to get an overview of some signature MK projects – Kids on Country, Waste Free Movement at Festivals and Events, Waste Free Movement – Edulis, Lore Law and One Thousand Actions for the Planet. Members had the opportunity to share their passion for the environment and outline their projects. Ann Wylie, MK Chairperson and MK Alumni, said the new website was unashamedly ambitious – a website to promote the Kids ideas and projects and inspire others, with a dedicated member portal to connect and mentor Kids across the state, supporting their project development through on line tools. Special Guests including Minister for Environment, Stephen Dawson, Mayor Sue Doherty, City of South Perth, Cameron Tero, Chairperson Wyemando Bequest, Joanne McDonald, IGO, and many others had an opportunity to hear directly from the Kids they support through their founding and our Lotterywest guests were able to see how their dollars would create impact. 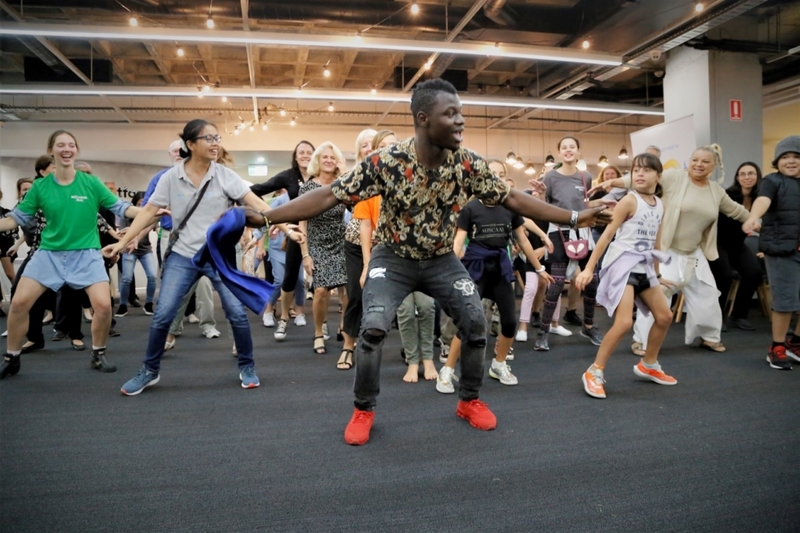 And it wasn’t boring at all – how could it be boring with a 20 minute session with Nigerian dancer, Ziko, to get the blood flowing and put smiles on the faces of guests. So much thanks to EVERYONE who made this happen. Have fun, eat chocolate, care for the environment!